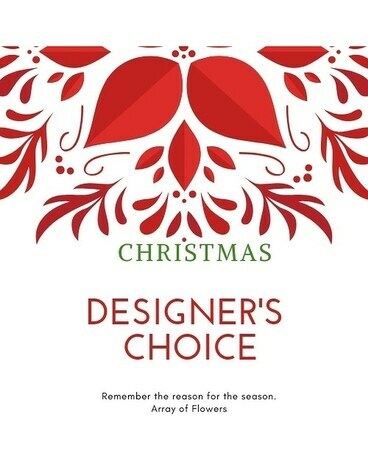 Santa said "Jump In Your Driving, You Rock"
Array of Flowers is proud to offer the Christmas designer's choice. Our Designer's Choice is your chance to get an exceptionally creative unique custom Christmas arrangement that is going to have everyone talking. Let Array of Flowers make your Christmas floral dreams come true today.